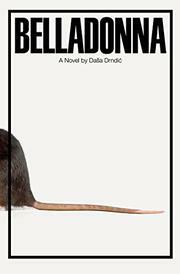 A pensive, provocative novel of history, memory, and our endlessly blood-soaked times by one of the foremost writers to have emerged from the former Yugoslavia. “Andreas Ban feeds himself with other people’s lives on his journey towards death, that most powerful goddess of ultimate oblivion,” writes Croatian novelist Drndic (Leica Format, 2015, etc.). Ban has retreated from psychological practice after finally despairing of figuring people out, has retreated from writing after running out of things to say, but he has not stopped visiting the past. Once familiar with every corner of Paris and New York, he now lives in a provincial town on the Adriatic coast, slowly falling apart and, in his disintegration, quite obviously hastening toward death; now he is living with memories, recalling “old friendships, dead loves, abandoned towns, books, books, real and unreal characters….” As he remembers, as he sifts through all those books and his files, he makes one troubling connection after another. An exile from the town dreams of murdering his father, who in turn has taken part in the murder of its Jews, all of which, remembering, Ban cannot corroborate because everyone involved is long dead; a superb director whose films he admires turns out to have made a hateful pro-Nazi film during the war, then, soon after, a socialist-realist homage to Yugoslavia’s Communist regime without missing a step; and so on. “How can it be, one minute this, the next that?” It is all enough to drive Ban to distraction, along with his steadily dissolving vertebrae and what he is sure is a lurking cancer. There are remedies: he can stop thinking, stop remembering, stop accumulating odd bits of knowledge on the shape of ears, the habits of lobsters, depression among zoo animals, and so on, and slip away. Or he can take matters into his own hands, whence the title of Drndic’s book, which, though somber, ends on an unexpectedly hopeful note. An elegant novel of ideas concerning decidedly inelegant topics, empathetic but unforgiving.